We are excited to welcome back Aiko as she joins us with Aquarius as part of our ongoing Flint Water Crisis Print Suite! Joining the likes of Robbie Conal, Shepard Fairey, Brandon Boyd and Ron English, we are excited to kick off 2018's first release as part of the print suite and welcome back Aiko for her latest release. Each print in this series is almost completely hand-painted by Aiko, with each color individually hand-painted before a 1-color screen print. Each is completely unqiue and will vary slightly from print to print. Be sure to snag your favorite before it's sold out and help support two great organizations, as a portion of the proceeds from this release will help benefit the Flint Child Health & Development Foundation and the Michigan ACLU! Snag this print and please help support these organizations directly as well! You can find more updates from ACLU and Detroit Metro Times on the ongoing situation in Flint as we close in on 4 years since it has come to the forefront. . . 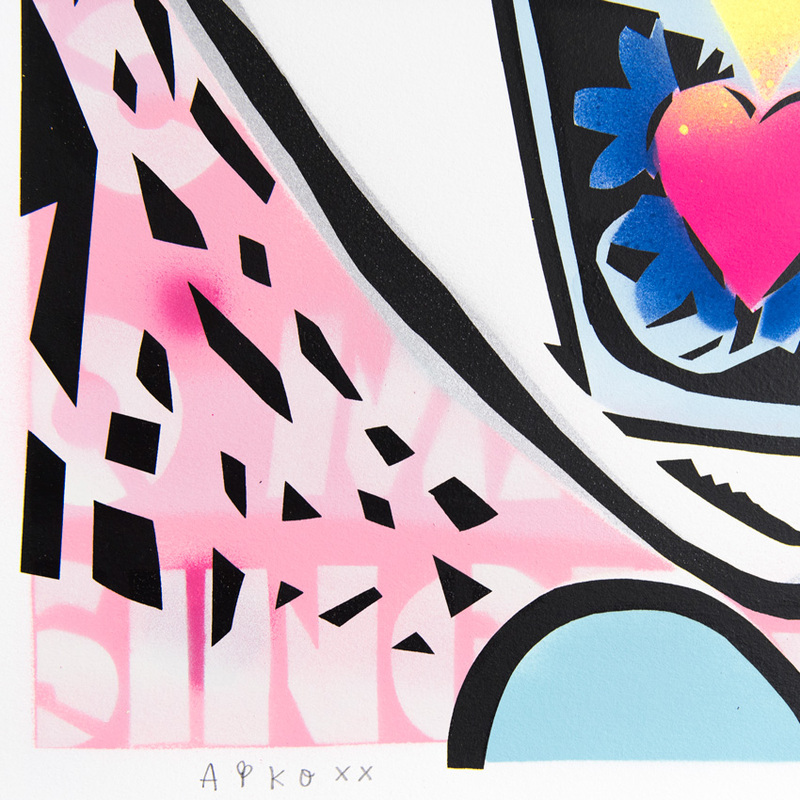 This RUN is signed, numbered and comes with a Certificate of Authenticity from Aiko and 1xRUN. Note: Each order will be limited to 1 per customer. A portion of the proceeds from this release will benefit the Flint Child Health & Development Fund and the Michigan ACLU. Click to donate to each organization directly and learn more. Read more from Aiko + learn about the Flint Water Crisis Print Suite at News.1xRUN.com . . .
AIKO was born and raised in Tokyo before moving to New York City in the mid-90s. Already creating art since a young age, her art career in NYC began when she started working for Takashi Murakami. She apprenticed in Murakami’s studio in Brooklyn and worked for him until the late 90?s going on to a direct a digital biography on the artist (“Superflat” 1998). 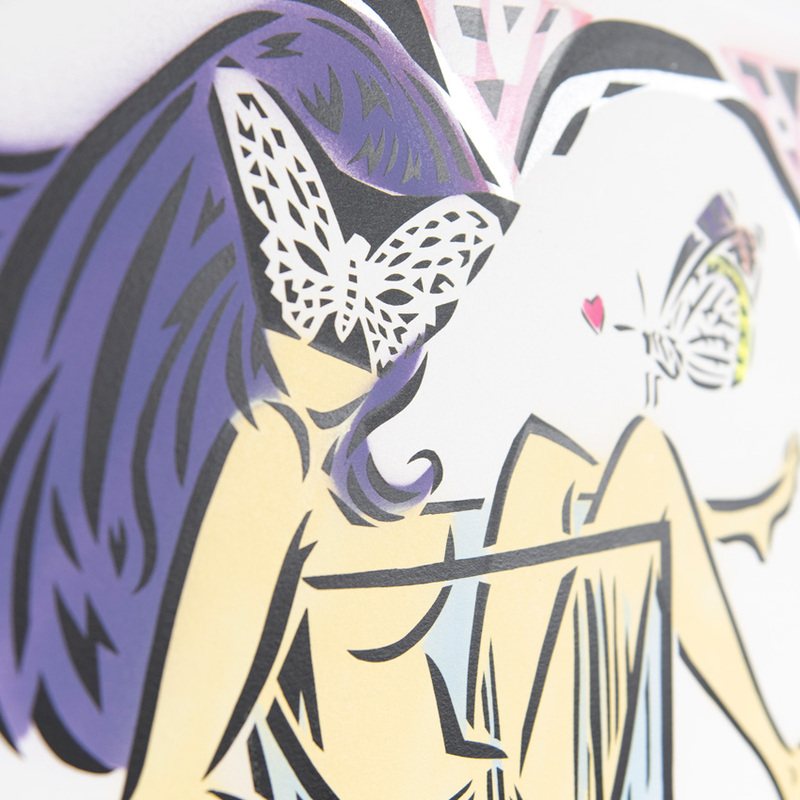 AIKO continued to practice her own art and after leaving Murakami’s studio graduated from The New School University where she finished her MFA Media Studies and later met up with two American artists, the three of them would come to establish the group now known as FAILE. Creating work within the collective locally and abroad for a number of years, she moved on and established herself as Lady AIKO in 2006. AIKO continues to create work in the studio as well as public space. She is acclaimed in the contemporary art world and well-respected within the international graffiti and street art scene. She had a two-person show “Brick Ladies” with Lady Pink in Brooklyn in 2008, and she worked with Banksy on “Exit Through the Gift Shop” in 2010. Her large scale works indoors and outdoors are installed in many cities, including Miami’s Wynwood Walls in 2009, New York City’s Bowery Wall in 2013, and Coney Art Walls in 2015, all three curated by Jeffrey Deitch. 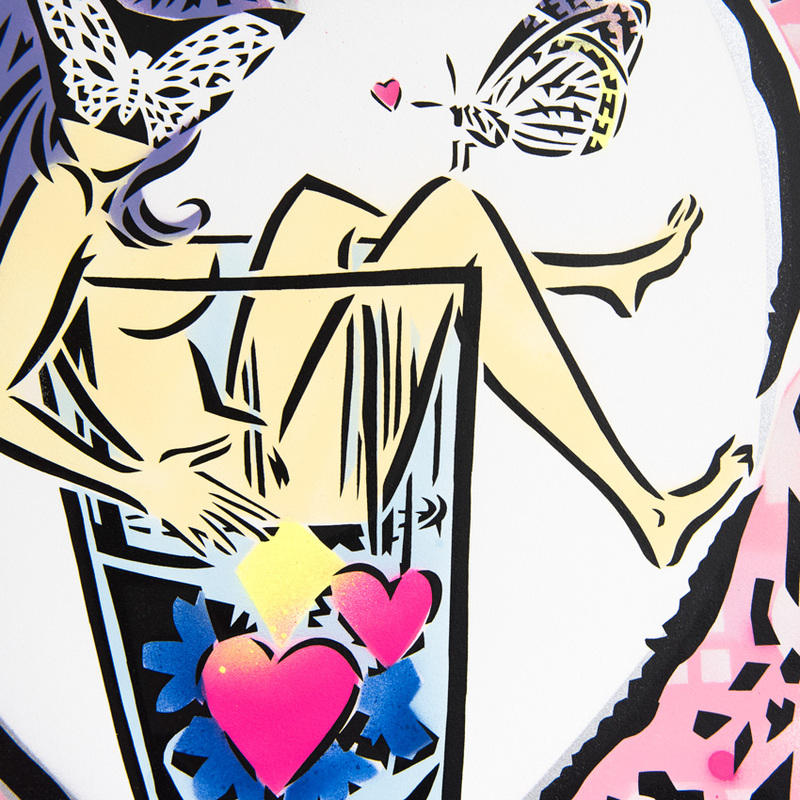 AIKO has also been involved in a large collection of group shows, from “AnimamixBiennale” at Shanghai’s MoCA in 2009 to “Edo Pop” at Japan Society NYC in 2013, ‘Some Place Like Home” at Rumney Guggenheim Gallery NY in 2015 to her more recent solo show, “Sweet Heart” at The Outsiders Gallery in the UK in 2014. Find more by AIKO at ladyaiko.com.